The Solution For All Your Tampa Plumbing Needs. Associated Plumbing was founded in 2001 with one mission in mind: To provide the highest-quality plumbing and drain cleaning services for residents and businesses at the most competitive prices. 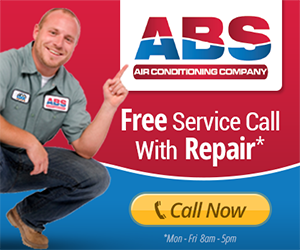 Our staff is skilled in using the most advanced technology for diagnosing and correcting plumbing problems, relying on state-of-the-art techniques, products and supplies for superior results. We work as a team, diagnosing complex issues and developing solutions that help homeowners and business owners resolve plumbing problems quickly so they can move on with their lives and focus on more important matters. Why Our Tampa Plumbing Company? Let’s face it: There are a lot of plumbers around, and when it’s time for a repair or installation, you need a compelling reason why you should choose one plumber over another – or more specifically, why your should choose us. At Associated Plumbing, we understand the competitive landscape we’re operating in, and we also understand how important it is to provide each customer – current and potential – with a value proposition that resonates with their needs. First and foremost, our staff is skilled, experienced and innovative – and when it comes to solving plumbing problems, that’s what you need to get the job done and get it done right – the first time. They’re also expertly trained in the most advanced techniques and technology so you get the best solution for your needs. Second, we truly value our clients and their needs. We know there are no one-size-fits-all, cookie-cutter solutions. We approach each plumbing problem on its own, using in-depth analysis and evaluation to determine the root cause of plumbing issues and then employing the most appropriate techniques for optimal outcomes. We take each client’s needs seriously, and we treat every plumbing job with the care and attention it needs and deserves. And third, we’re available when you need us, 24 hours a day, seven days a week, and our radio-dispatched trucks are fully equipped, so we’re ready to respond at a moment’s notice. 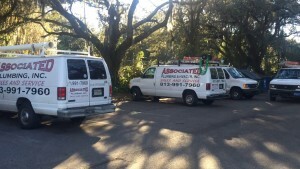 State Certified Tampa Plumbing Company for Your Peace of Mind. In addition to the advanced skills and technical know-how that set our plumbing staff apart from our competitors, we’re also registered and certified to provide inspections and maintenance services required under Florida law, including back flow testing and inspection for businesses and homes, so you can feel confident your repairs and installations are up to code. Now you know about us; we want to know about you. Give us a call at 813-991-7960 and let us help you solve your plumbing issues with the skills and experience that can help you get the results you want at a cost your can afford.